When it comes to France, Paris is always a good idea! Wander along the Seine river, spend a day in the Louvre Museum, stroll around the hip neighborhood of Le Marais and visit the magnifique Centre Pompidou. Paris is a true paradise for style lovers and chic adventure girls. One of your first shopping stops should be the By Marie store in the heart of Paris where you can purchase your Mitos swimwear. In St Tropez you may feel that the sun shines brighter and the days are longer. The jet set destination that became famous from Brigitte Bardot, is still a must-visit place for all the A-listers around the world. Visit the sublime coastal town and delve into the cosmopolitan essence of the French Riviera. Don’t forget to get your yacht-style, oh-so-chic looks and your new Mitos from By Marie shop. Marseille is the undiscovered jewel of France. A city mostly known for its old port, the sunny weather but also the rich cultural heritage. But there’s so much more to do in Marseille, like visiting the artistic galleries, the new – in –town designer hotels and the chic restaurants. There is also a By Marie store for your quick Mitos shopping! Are you an urban explorer? Then this June, Lyon is the place to be! The capital of French gastronomy is ideal for culinary adventures, while admiring avant-garde exhibitions and daring architecture…and of course shopping. Pick your favorite swimwear from our Manifesto Collection at As it is store in central Lyon. Along with the French Riviera make sure to visit the picturesque village of Ramatuelle. Fall in love with the pink rooftops, the cobblestone alleys and the beautiful bay views. Ramatuelle is also known for the beach of Pampelonne, with the chrystal clear waters and the sandy coast. You will definitely need your Mitos Bikini, so before hitting the beach, drop by the Plage Les Palmiers store. 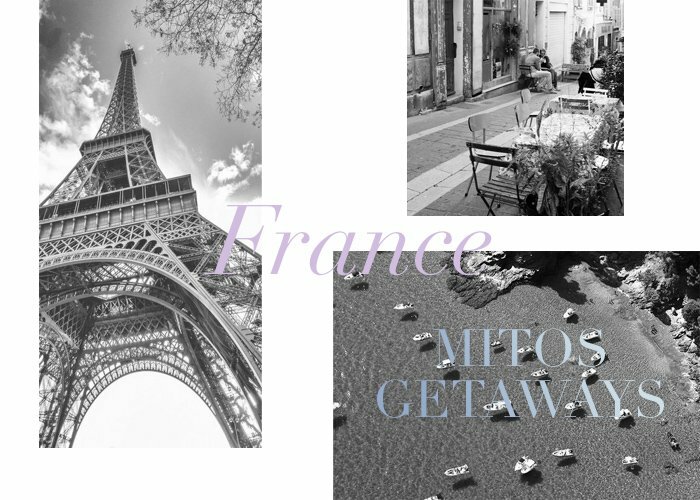 Get ready to experience all that France has to offer and refresh your look with fashionable Mitos swimwear found in our collaborators.